Playing the oboe requires serious dedication. The instrument can be expensive, so consider your financial situation, dedication of the musician, and how long you intend to have the instrument before investing in it. For this guide, I’ve broken things down into three categories: student, intermediate, and professional. Each stage should use a different type of oboe as students will surely outgrow theirs, so they wouldn’t need anything too financially taxing. 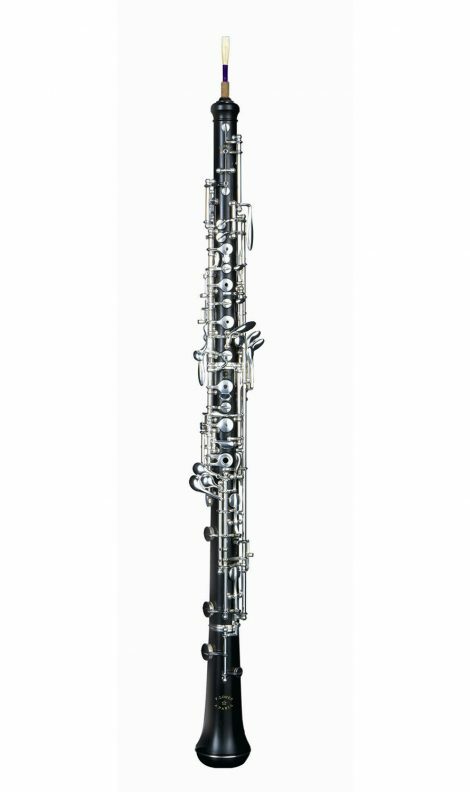 Choosing the best oboe is difficult, but I have selected one for each category that stands out above the rest: Bulgheroni Student, Yamaha YOB-441 Intermediate, and F. Lorée Paris Professional. I admit to having never played the oboe myself. Rather, I’ve seen others do it during my school years playing in the orchestra. So, to accurately build this buying guide, I sought advice from instructors to get a better understanding on what they recommend to their students and fellow oboists. They pointed me in numerous directions online to gather further research. The following guide is made up of hours of inquires and investigation that should prove useful in leading you down the right path. Even if you discover something useful here, I recommend seeking further personal advice from your teacher, if you have one, before making any investment. Before making that financial leap in purchasing an oboe, consider certain characteristics that a good model must have. Price is a major factor to look at. No matter where the oboe comes from, it is not a cheap instrument, and anything otherwise is usually not a good investment. Also, it isn’t easy to master. 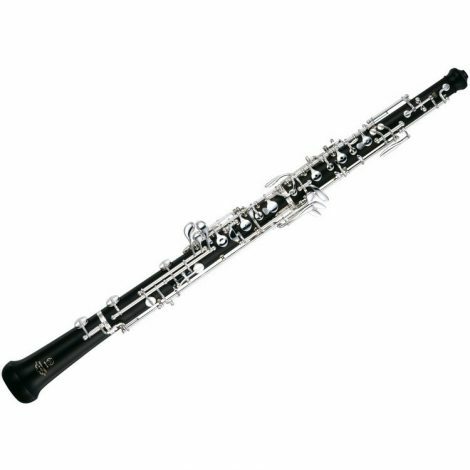 In fact, it takes plenty of practice to the point that if purchasing for a young student, parents should be sure of their dedication to the oboe before ever buying one as not everyone is cut out to be an oboists. The end-result, however, is rather rewarding. Below, I have pooled together some of the more basic and important factors to look into when on the search for the right oboe. These factors range across all three model types. Student oboe models have a simplified key system as they are meant to be a starting instrument, not one that is kept five years down the road. They are basic and made lacking two keys: the left F and low Bb. Still, it is no less challenging for a beginner. It serves to guide them into the right feel of playing the oboe. 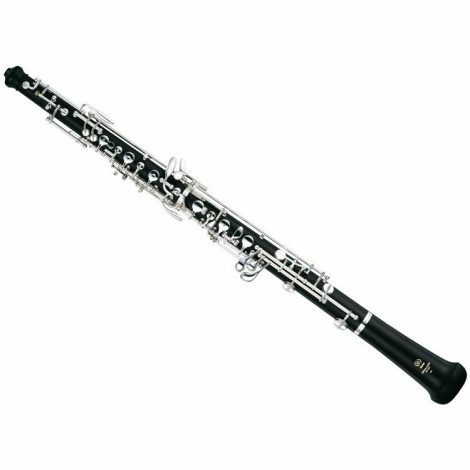 Intermediate, or step-up, oboe models have a more advanced key system in place. This modified conservatory system consists of a left F and low Bb like the student model, but it also has F resonance keys and an articulated B-C# mechanism. Generally, this system is good for those transitioning from the basics of oboe playing (e.g. high school level if started young), and who now understand a variety of things such as how to achieve a better tone. By the time one reaches a professional model, the key system is now a full conservatory system. It features everything found in the intermediate models, yet it also includes other special features such as a low Bb vent key, a split ring Eb-E trill key, an adjustable Ab-Bb mechanism, and plenty more. A full conservatory key system is the ultimate investment in high quality tone. As the oboe is a double reed instrument, the craftsmanship and quality of the reed can make or break tone and playability. Although reeds come in three standard types based on strength (soft, medium, and hard), try to search for a reed using other factors like level of resistance and such. Strength is subjective. Beginning oboists may benefit from using softer reeds as they may not have the lung strength to play through anything harder. However, some may do well with a medium one. Professionals may even have a preference for something softer. When it comes to selecting reeds based on strength, that typically boils down to personal tastes and your particular play style. One factor to look at is tip-opening. A smaller one requires far less air usage in order to vibrate, something a beginner will greatly benefit from. Medium openings still allow for easy vibration, but they usually need some embouchure manipulation for proper playing. A reed such as that can work for intermediate players or those transitioning to advanced instruments. Larger openings create the greatest resistance, so those types of reeds are more suited for experienced players. Treat your reeds with care and keep them hydrated. Always be aware that things out of your control such as temperature and weather changes can spell disaster for your reed. They are highly fragile due to their delicate construction, so beginners should not be surprised to know they will need to replace their reeds countless of times. Many, if not all, long-time oboists have several reeds on-hand at all times to cycle through. It is simple enough to purchase pre-made reeds, but many professionals eventually learn how to craft their own. Personally handcrafted reeds are beneficial due to the oboists being able to create reeds based on their specific style of playing. It is the utmost sign of personalization. If you lack the time or skills to create your own, then there are still numerous of handcrafted reeds high in quality that you can buy. Learning how to make your own though, or even understanding how to modify a pre-made one, can serve you well down the road. Oboes are constructed from a variety of wood material and plastic. Both have their positives and negatives to them, so when selecting an oboe, it usually comes down more to the actual sound of the instrument, not what it is made from. Nevertheless, the body material plays a role. Plastic (resin) is found in oboes from student to professional models, and are made using high quality resin material. The quality of them range as it depends on the workmanship put in place while constructing the instrument. Sound quality can sometimes suffer in plastic models, however, they are durable. They do not crack, and they hold up well in various environments, making them excellent to use outdoors. Wood models produce an optimal sound and projection. Most of these are made using Grenadilla, rosewood, or violetwood. Other options exist. These woods give off mellow tones, and are usually soft and less dense. They do require constant care, however. Wood can warp and crack. The elements pay a large part in this, which makes wood less durable for outdoor playing when compared to plastic models. They are sensitive to humidity and temperature changes, so they have to be “broken in” to adjust properly. There are models out there made with a plastic liner in the top joint, however, that is meant to reduce the risk of cracking. 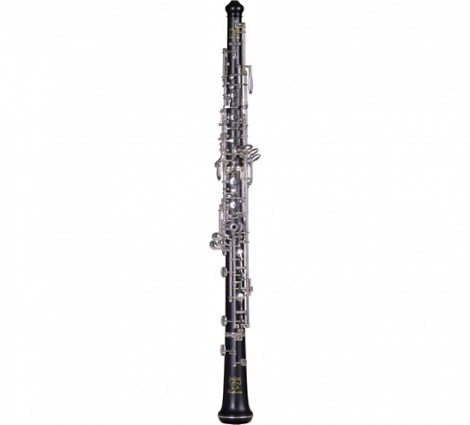 The price of oboes can easily break $6,000 and more. It does not mean that you always have to buy it new, however. New ones are obviously in excellent condition, so there is minimal worry that something may be broken or in need of repair. A used one can be just as good considering where you purchase it from. Some are professionally maintained to sound similar to new models. Also, a wood-based oboe can be valuable due to the wood having had time to properly age and adjust to minimize any potential environmental damage. 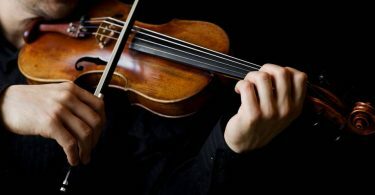 In spite of that, it will be best to speak with a specialist or an instructor before purchasing any used instrument. Depending on your needs and experience level, a new one may be of better use than a used one or vice versa. Another note to consider is rentals. Renting an instrument comes in handy for student players as it cost less than buying it outright. Student oboe models do not always have high resale value either as they depreciate fast. 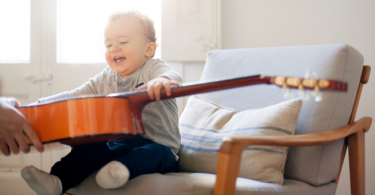 And students can change their minds about playing, so a rental can be used to determine if the devotion is truly there before investing in owning a model. Playing the oboe can be quite the undertaking as it can be difficult to master and tough to afford at times. 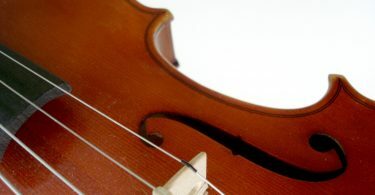 When you do have an instrument, take care in keeping it in good condition so that you don’t have to spend more money repairing or replacing it due to neglect. 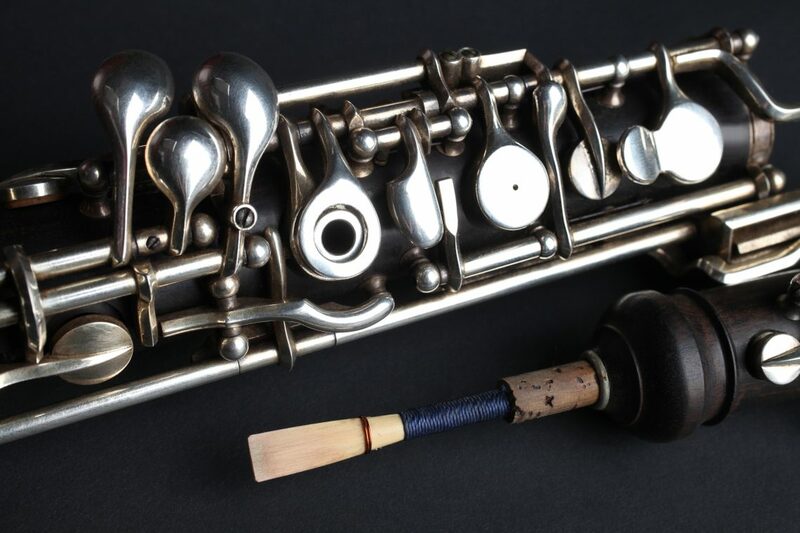 There are a few accessories to keep in mind that can aid in extending the life of your oboe. As mentioned earlier, invest in several reeds. They will fail at some point as no reed is meant to last forever, so purchase or make a good amount to keep with you wherever you go to play. You can find reed cases to put them in, if you wish. Concerning cases, that or a bag is a good idea for your oboe alone to make transporting safer and easier. Think about keeping a cleaning kit with you as well as you should keep up with proper maintenance of your instrument to keep it in pristine condition. This company takes meticulous care in crafting their instruments, and that care can be found in their FB-091 student oboe model. The instrument is made using similar materials that Bulgheroni puts into their professional models. It serves as a valuable first-step instrument for anyone that is just getting into the world of oboe playing. The FB-091 is made using Grenadilla wood to give it a rich tone and utilizes a modified conservatory key system. This removes the optional keys so that it is easier on student hands. The modified conservatory system includes a left F, fork K resonance, double G#, low Bb resonance, and a semi-automatic key. The FB-091 is consistent throughout changing registers. Resonance is aided due to the heavy silver plating on the nickel silver keys. A design such as this adds to the durability of the instrument as well. However, as it is made using wood, it is susceptible to damage from the likes of humidity. A student player has to understand proper care to avoid cracks so the oboe can last through their beginning phase. Using a humidity stick inside the case can help absorb harmful moisture. The Yamaha YOB-441 uses aged, seasoned, and high-quality Grenadilla wood that gives off the usual warm, rich tones while making the instrument more resistant to cracking. It also comes in a resin-body variant if that is desired. The plastic body may be preferable to those who may frequent outdoors while playing. Either way, the YOB-441 is a wise choice for those advancing toward professional models. Projection and tonal quality are enhanced by the polished bore design similar to Yamaha’s professional oboe models. The nickel silver bell ring quickens response and focuses sound, while the undercut tone holes create a smooth, even response and improves intonation. As intermediate models serve as a transition between student and professional models, they need to be durable enough to withstand what an advanced, yet still learning oboist will put it through. The French taper screws are made with stainless steel that protects it from corrosion. An additional bonus to this feature is that action is made more reliable and smooth, while the French taper design gives users more precise adjustment. Stainless steel comes into play again as it’s used in the spring material. This gives it more durability and balances out the key all while making the instrument feel more comfortable overall. Admittedly, some have found the keyword slightly awkward in the beginning to get used to. There have also been reports of some problems getting it and keeping it in tune. The key system here is a modified conservatory with semi-automatic octave keys. Auxiliary keys include a left F key and a fork F resonance. Trill keys are as followed: C#, D#, F#, G#, A# – B, B – C#, Ab – Bb, and C – D. Similar to the previous student model, the Yamaha uses silver-plated nickel silver keys which further increases endurance. However, just as the student model, a version of the YOB-441 is still made with wood. Although the wood is high in quality and aged to help break it in and adjust adequately, there is still the risk of damage occurring. If that makes you hesitate, then feel free to purchase the resin-body model. Since its founding in 1881, F. Lorée has produced one some of the finest oboes and is a favorite amongst many professional players. With its full conservatory system, this professional model produces a graceful, even tone. The system includes a third octave key, left F, and forked F and low Bb resonance keys. It also has the some of the following trill keys: Ab – Bb, G# – A, C – D, and B – C#. Sound and intonation are optimally controlled by the forked F resonance and Bb vent. It also features a split ring D# – E trill that, along with the other trill keys, makes those tougher note combinations simpler to pull off. The F. Lorée is designed in a way that makes it adaptable. 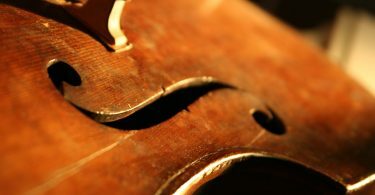 Meaning, it can be played in an ensemble just as well as in a solo. F. Lorée is available using two different bore styles: standard and AK. Both manage to produce their own type of sound with different qualities. The AK in particular is well-liked throughout North America. It is more conical than the standard bore, which makes it narrower near the top and wider at the bottom. This design increases the focus and gives a mellower, darker tone. As the F. Lorée is made using the popular Grenadilla wood, tone is even richer in quality. As this is not only a professional model, but one made by a worldwide famous company that many experienced oboe players go to, the price of this far exceeds the student and intermediate models. 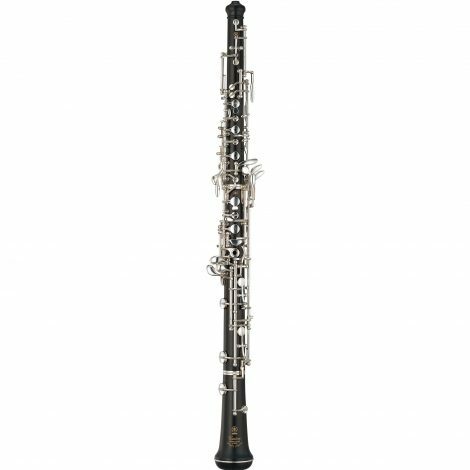 This oboe by Yamaha has everything a student can ask for. It uses a modified conservatory system that gives it a rich, colorful sound with precise intonation. It has a matte-finish ABS resin body to keep it lasting over time. With what it does, it has a good value for the price. However, it does lack some qualities such as having no left F key or forked F resonance. They, amongst others that are missing, serve an importance and some players may find the YOB-241 lacking in certain sounds. 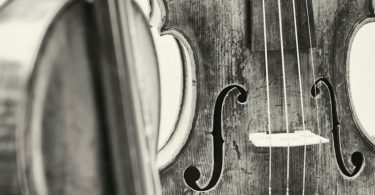 It is a good instrument to start out on, but you may think about moving on to either another more advanced student model or an intermediate model soon. The Fox Renard 330 is an ideal transition model. It is made using high-quality resin material and a hand-reamed bore that holds up to any potential cracking. Considering that it is a plastic model, it still gives off a rich, dark tone. It uses a modified conservatory system that has the likes of the left F and alternate C keys. Scale is just about even, although there is a chance that the high register may be a tad bit sharp. Still, the Renard 330 is easy to play and requires little to no maintenance due to the plastic body. It is a valuable instrument to use outdoors without worry of damage. Musician’s Friend sells the instrument in the $3,600 – $3,700 range. The Selmer 122F model makes use of a basic, modified conservatory system that features a forked F resonance and a range to low Bb as well as Ab – Bb and left C – D trills. Keys are silver-plated, and the body is made using typical Grenadilla wood. Trills are clean, and the overall tone is dark and clear. There are minimal complaints about this instrument. It is not high experienced-grade, but it serves its purpose of being that next step closer to reaching professional-level without paying that professional price. You can find it at Musician’s Friend in the $2,600 – $2,700 range. 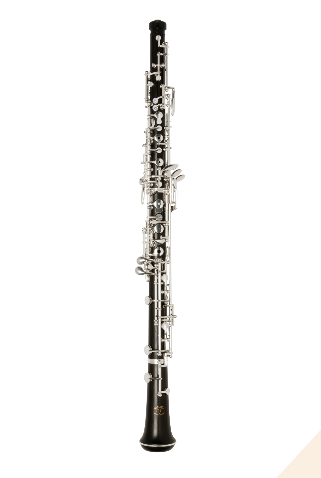 The YOB-841 Custom Oboe has a full conservatory and uses premium-grade Grenadilla wood to maintain those strong, warm tones while adding some durability to the instrument. 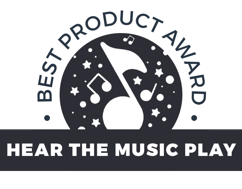 There is little undercutting done to the hand-tapered tone holes, a feature that gives it darker, more focused sound. They are not as resistant as the F. Lorée professional products, which can be a plus for those that have not developed the right muscles to produce the proper sound needed for a high-resistant oboe. Pitch is rather consistent, as is tone throughout the range, but a difference in air pressure can sometimes affect it. Purchase the YOB-841 for around the $6,300 range at Musician’s Friend. The Patricola Brothers handcraft Italian oboes that are commonly found amongst professionals worldwide. Their PT.1 S6 Evoluzione is one of their popular oboes made using either selected Mozambique Grenadilla wood or Brazilian rosewood that has been seasoned for around 13 years. This aged wood makes it more resistant to cracking. It gives off dark and controlled tones, powerful sound emission, and a consistent sound throughout all registers. The PT.1 is also versatile, sounding good in a solo setting or even carrying an orchestra. It features a full conservatory system, and there can be an issue with some keys like the C# sounding too sharp. Musician’s Friend has the instrument selling in the $5,300 – $5,400 range.